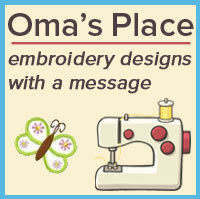 Do you have an embroidery website? Would you like to link to us? Here are some graphics and banners you can use on your site. Did you know you can make money by placing these banners on your site? It’s easy! Just sign up for our affiliate program. To use this image, with your affiliate code, just copy the code below and paste it in your website. Be sure to replace the XXXXX with your custom affiliate ID. Don’t have an affiliate ID? Sign-up for our embroidery affiliate program! To use this image, with your affiliate code, just copy the code below and paste it in your website. Be sure to replace the XXXXX with your custom affiliate ID. If you need help, please contact us and we’ll be happy to help.